The house we live in was formerly owned by a CB/Ham guy. He returned after Katrina and passed away soon after. We bought the house in the summer of 2006. It was mostly empty except for the garage. It had miscellaneous paint cans, wood, a few tools, and some ham equipment. I kept what wasn’t obviously damaged from the storm. I now have a rack with things I might use in future hacking projects: radios, cassette player, camera parts, walkie talkies, etc. Last week I was looking through the rack for a container for another mini portable guitar amp I’m building. 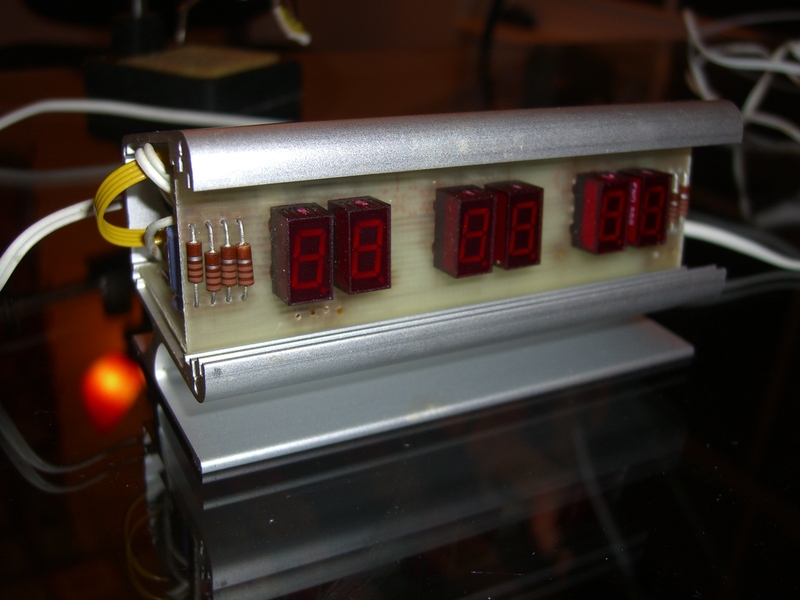 I was very surprised to find an old DIY kit with several buttons and a seven segmented display. I plugged it in and discovered it was a very simple clock and it works. 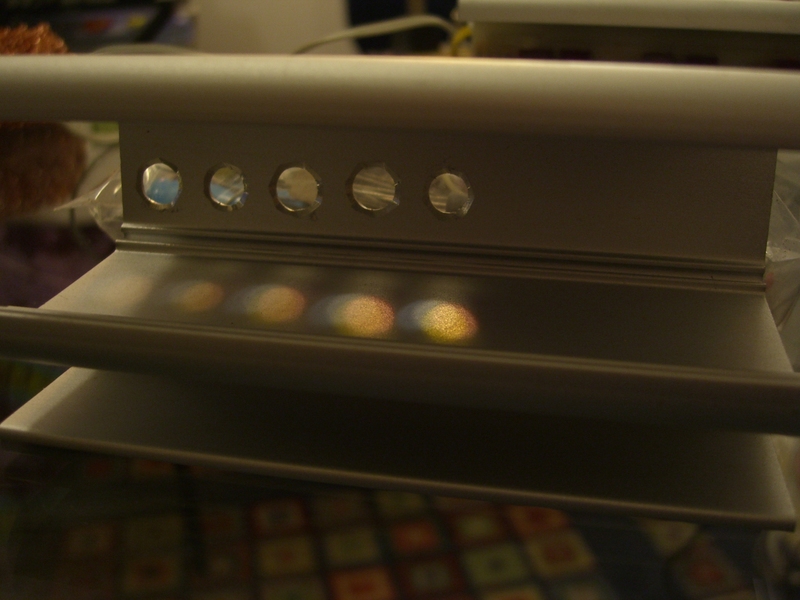 One of the segments on the display is out so I’ll play around with it to see if I can fix it. I started looking through the pile of stuff a little more closely and found a second un-built kit with some very yellowed instructions (I will post later). 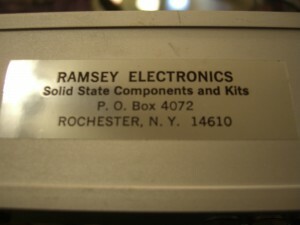 On the bottom of the aluminum case is the kit maker/seller… “Ramsey Electronics“. The paperwork seems to be for an alarm clock. There are more buttons and a small speaker. Very, very cool. 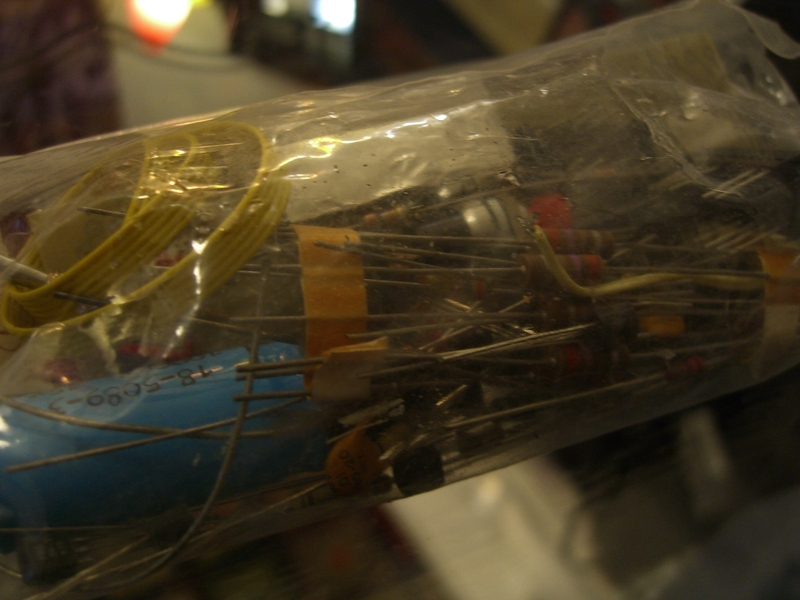 Back when I first went through this stuff I wasn’t actively into DIY electronics. It is only with my love of hacking and my connection with like minded folks that I am able to see this for the gem it is. Here are some pictures of the kit I will start to build next week. 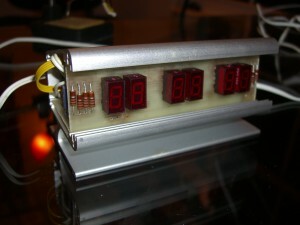 This entry was posted in Doing, Learning, Main and tagged DIY Hacking. Bookmark the permalink. Post a comment or leave a trackback: Trackback URL.